Thank you for taking the time to look at our website. Here we try to give you a ﬂavour of what we have to offer, although nothing we can say or show you here can possible come close to the fantastic experience you will have when visiting us. This is the start of a great adventure that will give you excitement, thrills, great times and memories that will last for ever. 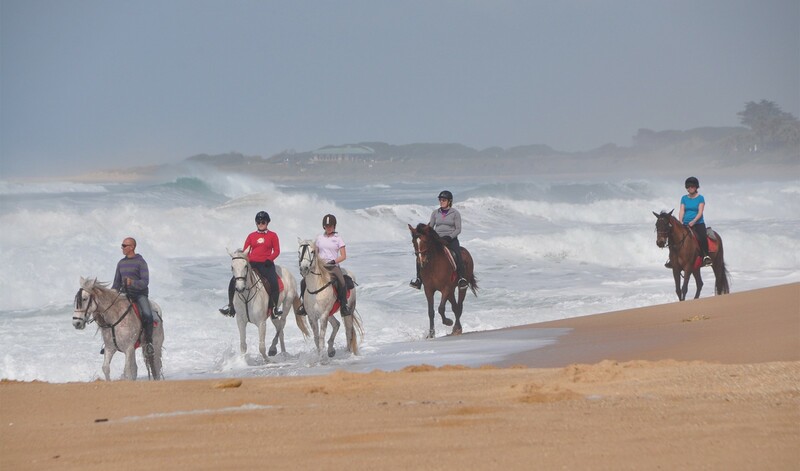 If you love to ride through beautiful scenery, gallop along deserted Sandy beaches and explore miles of sweet smelling natural pine forest, then we have the holiday for you. Our holidays are above all exhilarating, relaxing and great fun. It is our pleasure to provide you with a friendly atmosphere, great company and ﬁrst class surroundings. So that you can simply enjoy every wonderful moment. We hope you will join us very soon! “Thank you for welcoming us into your exceptionally wonderful extended family! Your over-whelming and charming hospitality, your delightfully happy, beautiful and handsome horses, delicious gourmet cuisine, luxurious villa, not to mention spectacular scenery and trails. All our expectations were exceeded. Thanks for giving us the ride of our lives”. “Well what can I say, the best horses, people, food, excellent hosts, I don’t want to go home, sun, sea & sand. The horses are extremely well looked after and a pleasure to ride, so much so, we are taking a horse home with us! Thank you for a truly wonderful experience and for all your help”. “The best part of Christmas at Los Alamos is going to bed wishing Santa will bring you a pony. And when you wake up he has!”. “Wonderful, just wonderful!. A truly classy outfit”. “What a home from home’ and such a friendly welcome. How refreshing to meet people who truly care about their horses and guests. The horses were such individuals and a pleasure to ride. I will remember the smell of the pines and the sea long after my return home”. “What a week! We have been spoiled rotten. The riding has been superb, the cooking out of this world and the hospitality amazing. We will be back one day with a big Kiwi contingent to savour the many pleasures of Los Alamos. 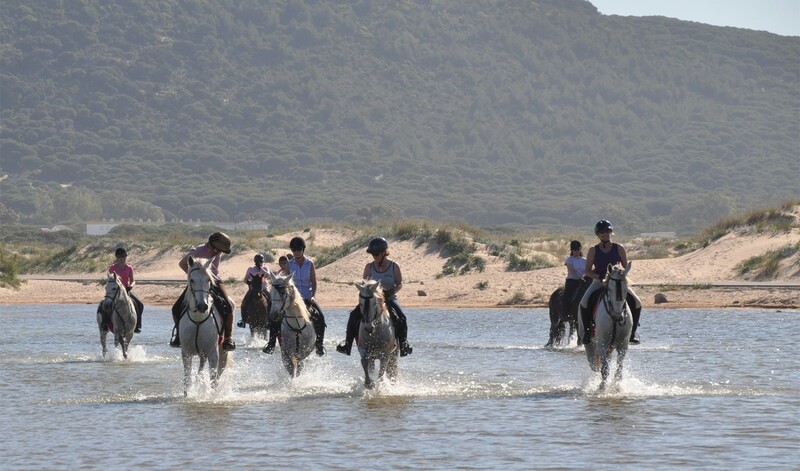 We can only sing your praises to all who want to have a riding holiday in Spain. You have the perfect formula”. 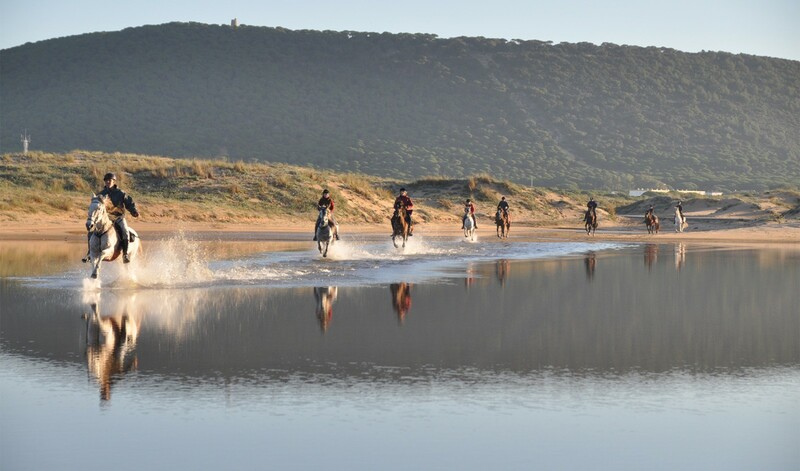 Los Alamos – Best for Riding “One of the finest all exclusive holidays to be found anywhere in the world”. “Danielle and I had the most memorable time of our three month trip to Europe, right at Los Alamos. We had the best guides, companions and hosts. We will be back”. “Its been a real privilege to ride your fantastic horses. So well schooled and lovely manners”.